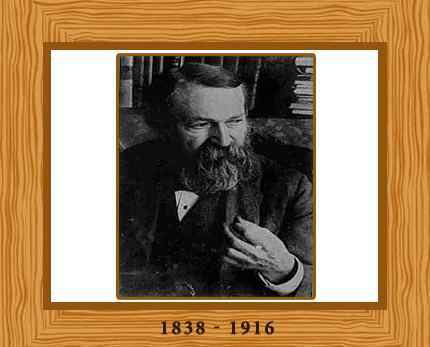 Ernst Mach was a physicist and philosopher who was best known for his work in optics, mechanics and wave dynamics. He is credited with deriving the “Mach principle” which explains the phenomenon of inertia by assuming that all of the masses in the universe are somehow connected. His name is often remembered through the Mach number, which is synonymous with supersonic speeds. He is considered a founder of the philosophy of science and his skepticism of the “old” physics was important to the next generation of young physicists, including Albert Einstein. Ernst Waldfried Josef Wenzel Mach was born on February 18th, 1838 in Chirlitz, now part of the city Brno in the Czech Republic. His father, Johann Mach, was a graduate from Prague University and worked a tutor to the noble Brethon family in Zlin. His mother was Josephine Lanhaus who loved music and poetry. The family moved to a farm near Vienna when Ernst was an infant. He received his education at home from his parents and at the age of fifteen he then entered a Gymnasium in Kremsier, where he studied for three years. In 1855, Mach enrolled as a student at the University of Vienna studying physics, philosophy and mathematics. He received his doctorate in physics in 1860 with his thesis “On electrical charge and induction”. At the University of Vienna, Mach taught mathematics and physics and he conducted studies on acoustics and the Doppler Effect in optics. Mach created a simple apparatus that showed that the Doppler Effect was real for sound. Having demonstrated his excellent abilities as an experimenter and as a designer of precise measuring devices, in 1864 he was offered a position as professor of mathematics at the University of Graz in Austria. Two years later he changed roles and became their professor of physics. Mach’s interest had now turned to the psychology and physiology of sensation and to the new discipline of psychophysics. During his time here he discovered the physiological optical illusion that came to be known as “Mach’s bands”. In 1867 Mach was appointed as chair of Experimental Physics at the Charles University in Prague and he remained there for the next 28 years, publishing over one hundred scientific papers. He conducted many areas of research during his tenure including retinal stimuli, stereoscopy, auditory perception, optical experiments on interference & spectra and wave motion. Mach also studied the propagation of sound waves which gave rise to the terms “Mach Number” and “Mach Angle”, developing high-speed photographic techniques in the process. He used “schlierenmethode” along with his son, Ludwig, to photograph the shadow of the invisible shock waves. In 1895 Mach returned to the University of Vienna, accepting the position of professor of inductive philosophy. He officially retired in 1901. Mach made many contributions to psychology and physiology including his anticipation of Gestalt Theory; he laid the groundwork for this theory in his 1886 book “Analysis of Sensations”. Mach carried out important work on “Mach bands”, which are optical illusions caused by contrast perception in the human eye. His most important publication was “The Science of Mechanics: A Critical and Historical Account of Its Development” (1893) which details the fundamentals of mechanics and gives an insight into his scientific reasoning process. Mach studied the propagation of sound waves, giving rise to the principles of supersonics and the Mach number which is the ratio of the speed of a body to the speed of sound in the surrounding medium. He theorized and experimentally proved the existence of shock waves which appear in the shape of a cone with the projectile at the tip. In 1873, independently of each other Mach and physician Josef Breuer discovered a non-acoustic function of the inner ear which helped control human balance. Mach became well-known for his philosophy of phenomenalism- an antirealist stance which regarded only sensations as real. This position seemed incompatible with the view of atoms and molecules as external, mind-independent objects. Mach’s reluctance to acknowledge the reality of atoms was criticized by many as being incompatible with physics. One of the best-known of Mach’s ideas is the “Mach’s principle,” concerning the physical origin of inertia. This was never written down by Mach. However it was given in verbal graphic form, attributed by Philipp Frank to Mach himself. “Mach’s principle” explains the phenomenon of inertia by assuming that all of the masses in the universe are somehow connected. Local inertial frames are affected by the cosmic motion and distribution of all matter. Mach’s inertial theories were named by Einstein as one of the influences for his theories of relativity. In 1867, Ernst Mach married Ludovica Marussig in Graz. They had five children, four sons and one daughter. In 1897 Mach suffered from a stroke, leaving the right side of his body paralyzed. In 1901 he retired from the University of Vienna and was appointed to the upper chamber of the Austrian parliament. His autobiography was published in 1910. On leaving Vienna in 1913 he moved to his son’s home in Vaterstetten, near Munich, where he continued writing and corresponding until his death on February 19th, 1916.